ARLINGTON, VA, February 23, 2016 – PBS, the nation’s most trusted provider of educational media for children, today announced that it will launch new 24/7 children’s services later this year. Provided by local stations, the free services include a new TV channel and live stream on digital platforms. PBS stations across the nation will be able to broadcast PBS KIDS shows 24 hours a day on an additional television channel and offer a live stream, making it easy for children to watch their favorite series during primetime and other after-school hours when viewing among families is high. Viewers will be able to watch the station-branded live stream through pbskids.org and on the PBS KIDS Video App, which is available on a variety of mobile devices, tablets and over-the-top platforms such as Roku, Apple TV, Amazon Fire TV, Android TV, Xbox One and Chromecast. Following its initial launch, the live stream experience will expand to offer an integrated games feature, enabling children to toggle between a PBS KIDS show and an activity that extends learning – all in one seamless digital experience. The live stream and games feature is grounded in research demonstrating that measurable gains in learning are achieved when children engage with PBS KIDS content on multiple platforms. The games will align with the learning goals of each TV series, deepening children’s involvement and supporting learning. The 24/7 PBS KIDS offering is an integral part of PBS’ long-term vision for its children’s service and will build on the reach and impact local stations already have in their communities, where they provide essential services for kids, parents and teachers. In the coming year, PBS and member stations will roll out a variety of additional initiatives designed to meet the needs of today’s children, including new STEM (science, technology, engineering and math) content, digital innovations and customizable tools for parents and caregivers. ii Google Analytics Jan ’15 – Jan ’16. iii Zero to Eight: Children's Media Use in America 2013, Common Sense Media. iv The Annie E. Casey Foundation, 2014 Kids Count Data Book. v Nielsen NPM, NPOWER, 9/22/2014-9/20/2015, Live+7, M-Su 6A-6A time period reach. US K2-5, LOH w/C<6, K2-11 in HH w/Inc<$20K. 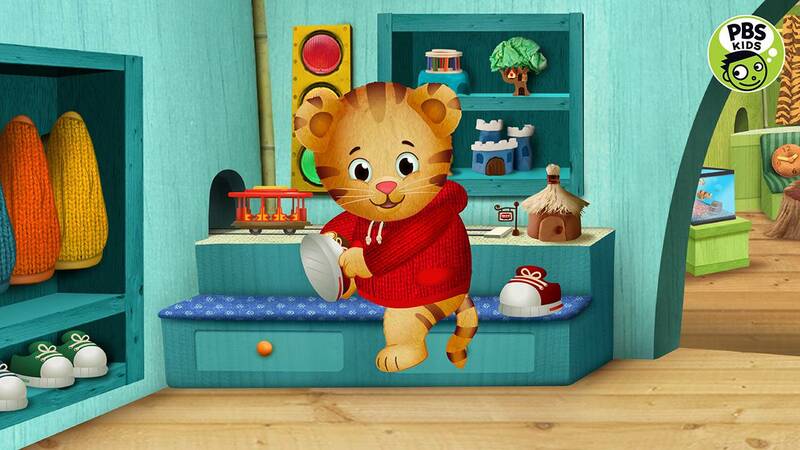 PBS affiliates, DISNEY, NICK, Disney Junior, Nick Jr., Sprout, TOON & Discovery Family. vi comScore Jan’15 – Dec’15. vii Understanding School Preparedness, Smarty Pants, 2014.
viii Nielsen NPOWER L+7 9/28/15-12/27/15, PBS stations M-F 7A-6P, K2-8 AA, HOH Hispanic, HH Inc <$20K. ix Learning with PBS KIDS: A Study of Family Engagement and Early Mathematics Achievement, WestEd, 2015.
x Nielsen Total Audience Report 3Q 2015.
xi Nielsen NPOWER Live PUT, 9/28/2015 - 12/27/2015, K2-11 select dayparts. xii Nielsen NPOWER Live PUT, 9/28/2015 - 12/27/2015, K2-11 M-F 6-10P, M-F 7-12N, K2-11 in HH w/Inc<$20K.